Commercial Brokers International specializes in several asset classes. Whether you are new development looking for your first tenants or an established property looking to either fill vacancy or reposition yourself Commercial Brokers International can create the right marketing plan for you and get the best tenants for your building. Whether you are looking for new corporate headquarters, renewing your lease, or expanding your existing space; Commercial Brokers International has agents specializing in tenant representation for all asset classes, including office, retail, and industrial. 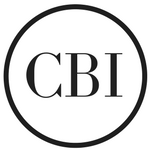 CBI understands how to negotiate the best terms for our clients, whether it’s rental rate or tenant improvements. Commercial Brokers International provides customized marketing plans for each individual asset that assures we receive the best price for our clients. Our negotiating experience guarentees our clients unsurpassed service and the best terms. Whether you are an owner-user or are seeking an investment property, Commercial Brokers International first gains an in depth understanding of our clients' needs. By doing so, this ensures we find the ideal property for your specific needs.